When I was seven, I changed schools. I remember distinctly the first days at that school — the new rooms, teacher, classmates and lessons. It was a lovely little village school, there were only four other children in my year — a class size that is almost unheard of today. I also remember the conversation with the teacher when she took me to the library and asked my reading level. I looked excitedly at the many books on the shelves and then failed to hide my disappointment as a Roger Red Hat book was placed before me. Much to my teacher’s disbelief I explained that I had already completed that book, and indeed all the levels after that. After a few checks, it became apparent that if nothing else my previous school had got me reading, and reading well for the rest of my life. It was official, I was a prolific reader. That’s when I knew I had to find some way to share my passion for reading, for exploring the world through books, and so The Little Reader was born. My view is that learning should be something that everyone in the family can participate in, not just the pupil, and more importantly it should be fun! 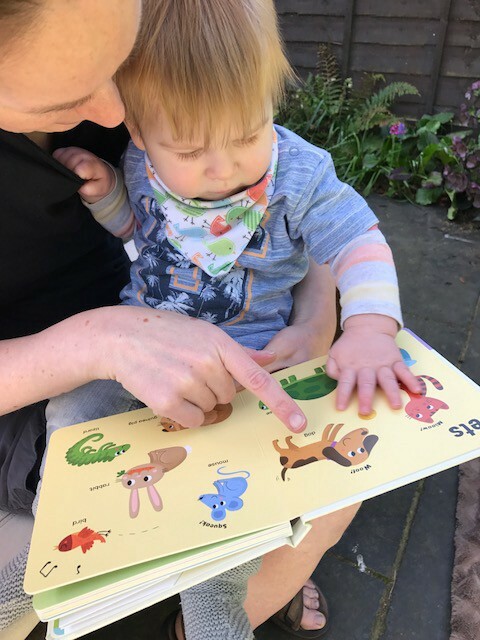 Those first early steps with your little one into the world of reading, writing, counting and the spoken language don’t have to be a checklist of achievements, instead they should be organic activities that sit along side your normal routine. In the coming weeks I plan to share ideas and articles to help get you and your family learning together. I’ll be focusing on easy ways to introduce learning through play at home, as well as highlighting fun events you and your little ones can attend in the local area. Whether it’s a book recommendation for your bedtime routine or instructions on how to make phonics work for you, I hope you’ll enjoy coming on this journey with me. The most important educator in a child's early life are their parents. A #Surrey mum shares insights and ideas to make learning a fun family experience!